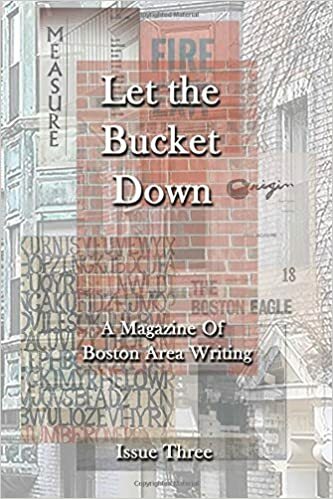 Let the Bucket Down is an annual journal of Boston area writing, including yours truly! That's right, I'm in a book! Yay! Along with some really impressive company, of other poets who I admire so much, like Gerrit Lansing, Joel Sloman and Fanny Howe, plus a bunch of other poets and friends. Editor Joseph Torra put together and All-Star cast. I am so honored to be a part of this issue, especially with the reference to John Wiener's "Measure" on the cover. So fantastic.